He was awarded the fellowship and in the summer of 1955 began his 10,000-mile journey with a trip to Pennsylvania, Ohio, and Michigan. He then traveled with Mary down the East Coast, photographing in North and South Carolina and Georgia. That fall he drove to Florida, and from there he crossed the country, through Tennessee, Alabama, Mississippi, Arkansas, Louisiana, Texas, New Mexico, Arizona, and Nevada, arriving in California around Christmas. While in California, Frank applied for a renewal of the Guggenheim fellowship. When it was granted in April 1956, he drove a northern route back to New York, passing through Nevada, Utah, Idaho, Montana, Wyoming, Nebraska, Illinois, Ohio, and Pennsylvania. 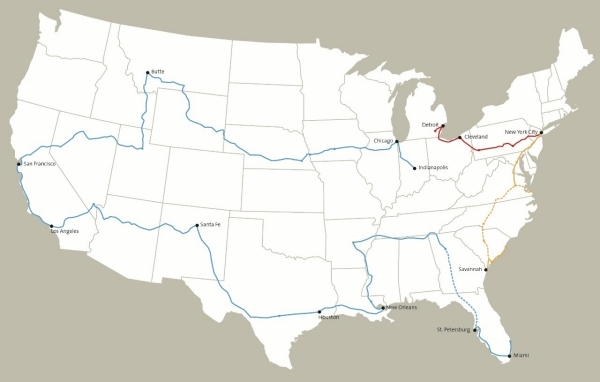 The map below charts the three routes driven by Frank during the period of his Guggenheim fellowship. A dotted line indicates an unconfirmed route. 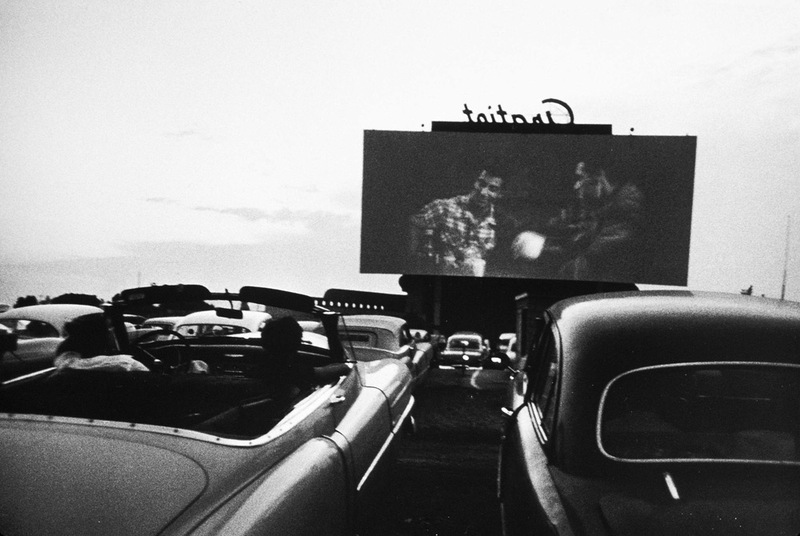 Back in New York by June 1956, Frank developed film, made and reviewed contact sheets of all 767 rolls of film shot for the project, made approximately 1,000 work prints, and began to sequence the photographs that would become his seminal book, The Americans. After choosing frames from his contact sheets to print, Frank annotated his work prints with the corresponding number of the roll of film, often in red grease pencil. He then spread them on the floor and thumb-tacked them to walls, grouping them by themes such as race, religion, politics and the media, as well as subjects including cemeteries, jukeboxes, and lunch counters. Frank moved the pictures, sometimes ripping them, and eliminated hundreds before arriving at the 83 prints to be included in The Americans. He continued to refine his selections through June 1957. In October of 1958, French publisher Robert Delpire released Les Américains in Paris. The following year Grove Press published The Americans in New York with an introduction by Jack Kerouac (the book was released in January 1960). Like Frank’s earlier books, the sequence of 83 pictures in The Americans is non-narrative and nonlinear; instead it uses thematic, formal, conceptual and linguistic devices to link the photographs. Unlike Peru, in which the order of pictures was not firmly established, The Americans displays a deliberate structure, an emphatic narrator, and what Frank called a “distinct and intense order” that amplified and tempered the individual pictures. Although not immediately evident, The Americans is constructed in four sections. Each begins with a picture of an American flag and proceeds with a rhythm based on the interplay between motion and stasis, the presence and absence of people, observers and those being observed. The book as a whole explores the American people—black and white, military and civilian, urban and rural, poor and middle class—as they gather in drugstores and diners, meet on city streets, mourn at funerals, and congregate in and around cars. With piercing vision, poetic insight, and distinct photographic style, Frank reveals the politics, alienation, power, and injustice at play just beneath the surface of his adopted country. Since its original publication, The Americans has appeared in numerous editions and has been translated into several languages. The cropping of images has varied slightly over the years, but their order has remained intact, as have the titles and Kerouac’s introductory text. The book, fiercely debated in the first years following its release, has made an indelible mark on American culture and changed the course of 20th-century photography. 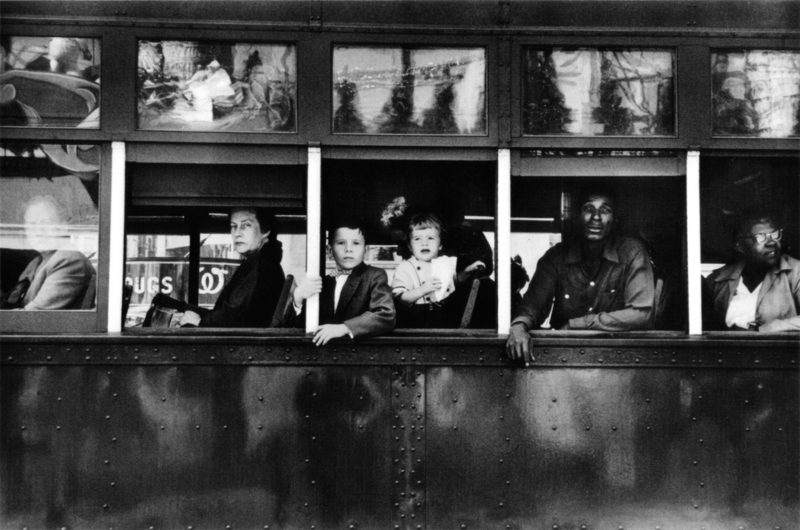 * THE ROBERT FRANK COLLECTION, NATIONAL GALLERY OF ART, WASHINGTON D.C. The Robert Frank Collection at the National Gallery of Art, Washington, was begun in 1990 with a generous gift from the artist that included 27 vintage photographs, one of the three extant copies of Black White and Things, 1952 (a handmade book of 34 original photographs made between 1948 and 1952), 999 work prints, 2,296 contact sheets, and 2,241 rolls of film, as well as annotated book dummies for The Lines of My Hand. In the three years that followed, the Gallery acquired a total of 61 objects, including one print of every photograph reproduced in The Lines of My Hand, 1989. In 1994 Frank gave the Gallery another large donation that included 91 vintage photographs, 442 work prints, and 814 contact sheets. In 1996 he gave a third gift, this time including 12 photographs and his volume of photographs, Peru. Then in 2010 Frank gave one photograph and his volume of photographs, 40 Fotos. Most recently, Frank gave four photographs, six contact sheets, one work print, and three videos in 2012. 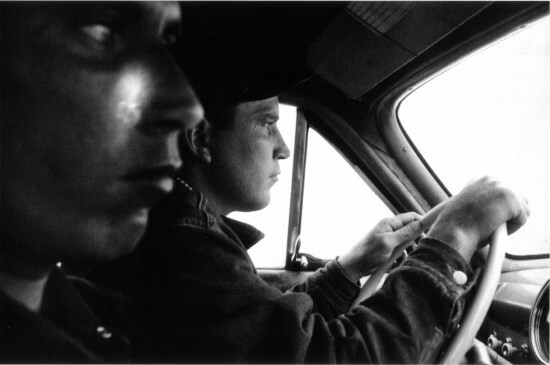 The Gallery has continued to collect works by Robert Frank, acquiring 61 objects from 1994 to 1996, seven objects in 2000 and 2001, three objects in 2006, 20 objects in 2010, and one object in 2011. Nearly all accessioned objects in the collection came to the Gallery directly from Frank’s own collection. The exceptions are: four objects given in 1991 by, respectively, Amy and Philip Brookman, George F. Hemphill and Leonore A. Winters, Christopher and Alexandra Middendorf, and the Middendorf Gallery; 16 objects given in 1996 by John Cohen; six objects given in 2000 by Jane Watkins; one object given in 2001 by Lee and Maria Friedlander; and 20 objects given in 2010 by the Estate of Kazuko Oshima. This entry was posted in Documentary Photography, Famous Leica Users and tagged robert frank, The Americans Robert Frank on February 6, 2015 by Leicaphila.